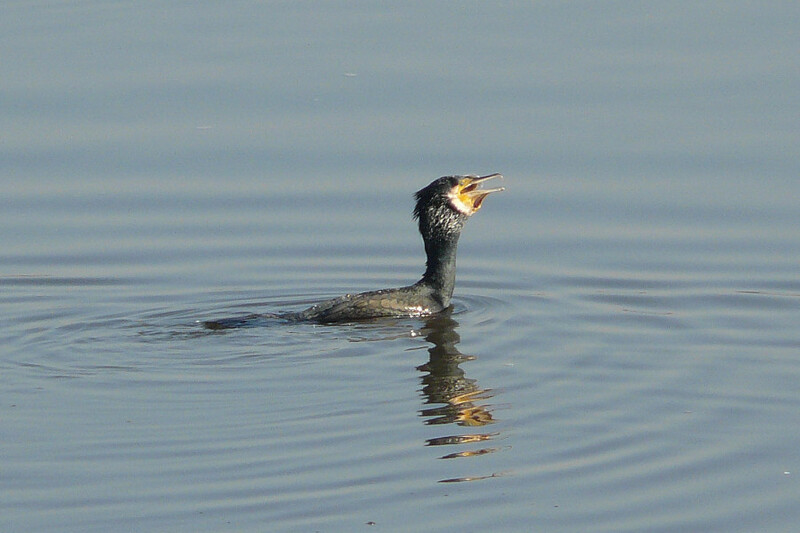 For many years there has been large numbers of cormorants using the Seaforth Nature Reserve for roosting out the tides and fishing in the outer estuary, with smaller numbers using the gantry entrance to Garston docks. 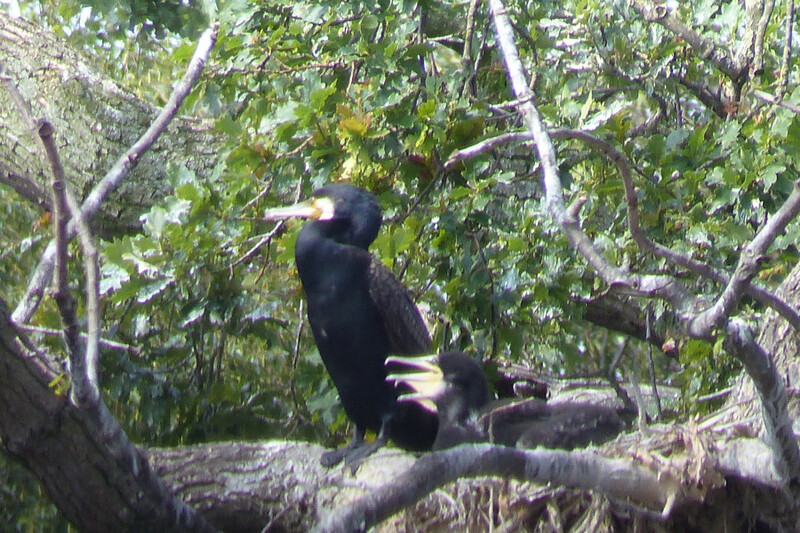 Numbers of cormorants have increased in our local area of the upper Mersey Estuary at Frodsham / Pickerings Pasture during the last 15 years, presumably because of the number of species and increasing numbers of fish now being recorded in the Mersey. The increase in fish numbers has occurred with the removal, from the river, of much of the industrial pollution which had blighted the area for so many years. 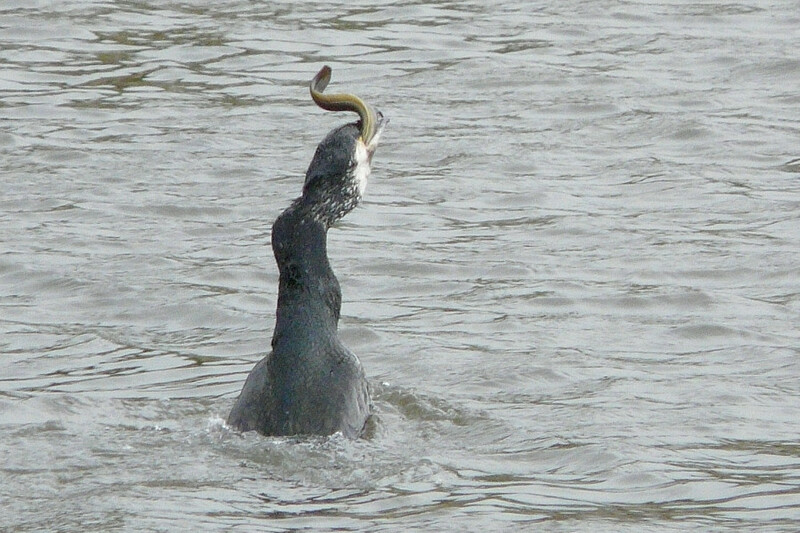 It has now become a common sight to see a cormorant struggling to get a fish down its throat, in particular flat fish which are more awkward for them to swallow. Interestingly local fishermen have started complaining about how many fish they are taking, which is paradoxical when previously there were few fish. 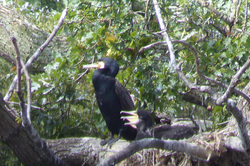 No doubt if cormorants do overfish their numbers will drop accordingly, though at the present time the numbers are still increasing. 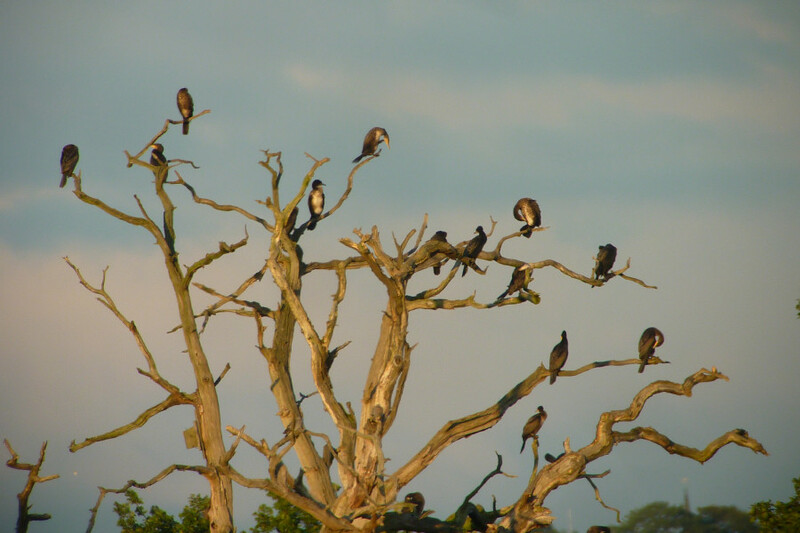 Numbers of cormorants roosting out the tide have also increased during this period, and at times up to thirty can be seen on the marsh edge from the Pickerings Pasture hide. Breeding sites are few in Cheshire and Merseyside, with only the occasional record of a pair attempting to breed. The nearest breeding colony of any size is the tree nesting birds at Rostherne Mere and the smaller colony at Trentabank Reservoir. Cormorant fishing off Pickerings Pasture LNR. 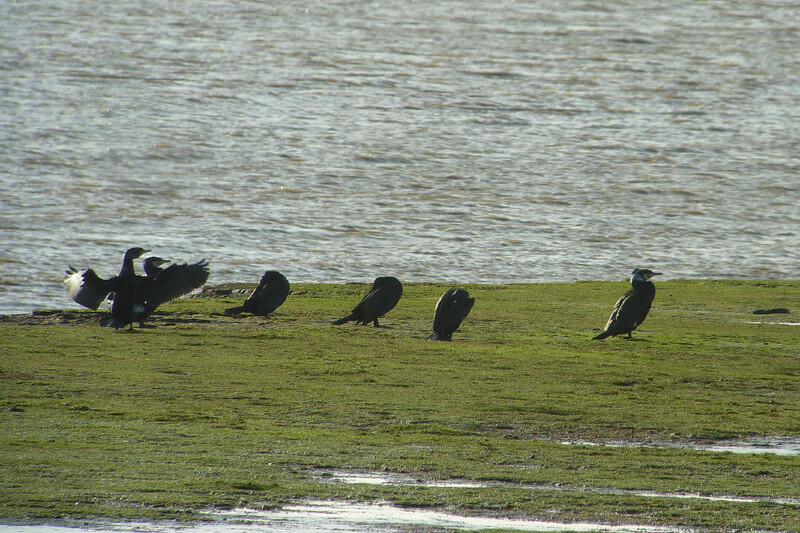 Cormorants roosting out the tide on Hale Marsh. 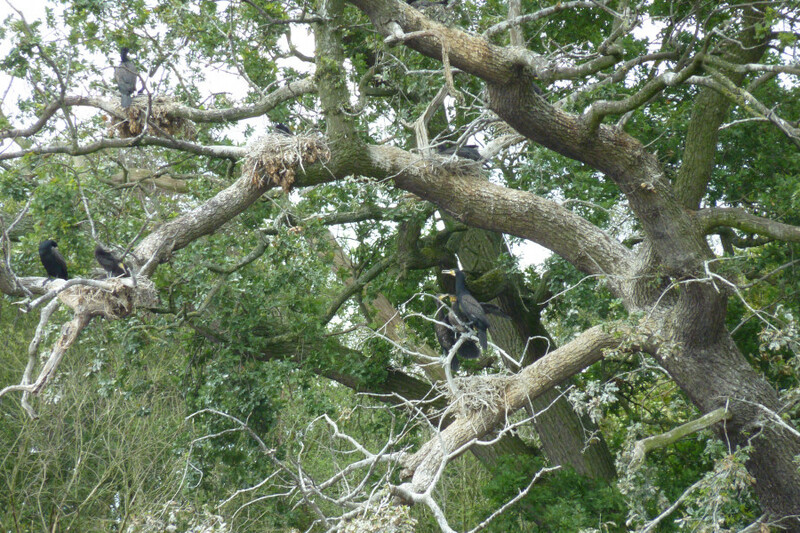 However over the last three years, in particularly during the autumn and winter months, cormorants have started to roost overnight in the oak trees on Hale Duck Decoy and can occasionally be seen in the trees during the day. 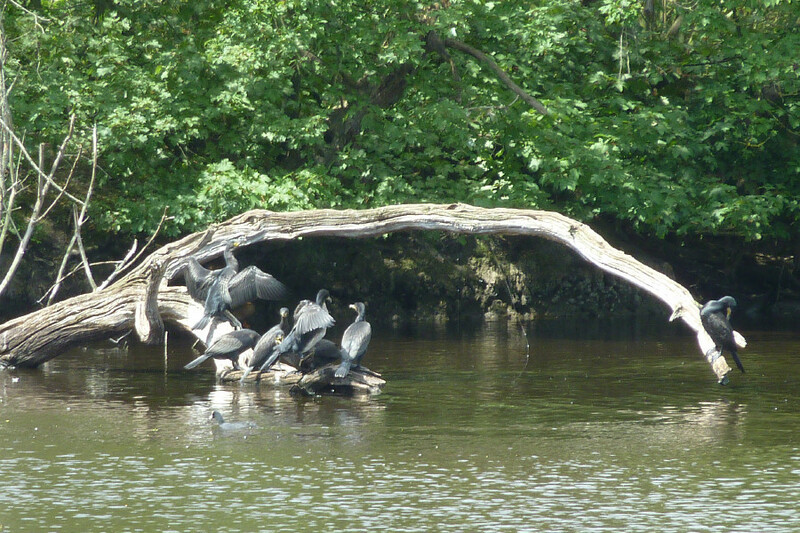 Grey herons, which have nested at Hale Duck Decoy for a number of years, have now reached fourteen pairs. 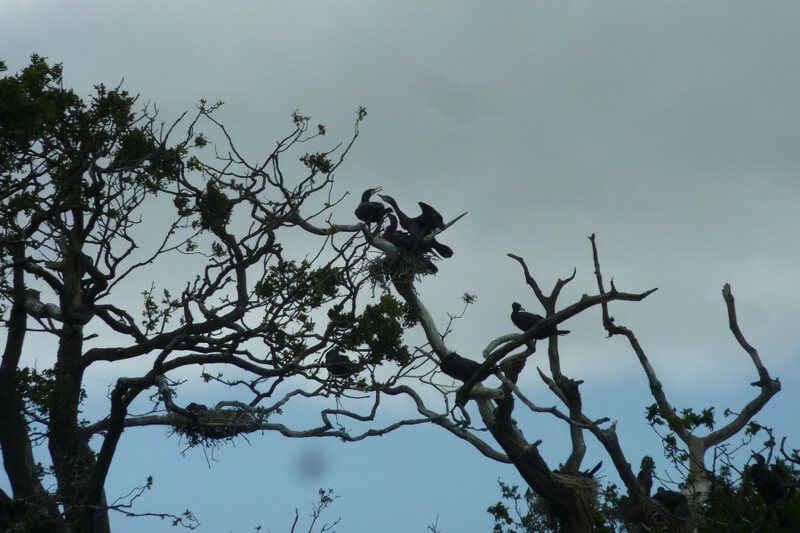 However this year (2015) a few cormorants joined the grey herons and started to build nests and by June twenty four pairs of cormorants were breeding. In late July forty two fledged young were sitting around the pool, whilst there was still some young in nests. This would be the first breeding record locally, apart from a reported breeding attempt in 2013 mentioned in the CAWOS report: unfortunately this was not confirmed by the wardens. Four nests in an oak tree. It will be interesting to see how this colony fares and if it will have any effect on the breeding grey herons, though I understand that elsewhere they have been reported breeding in mixed colonies. Acknowledgements: Cheshire and Wirral Ornithological Society (CAWOS Bird Report 2013).